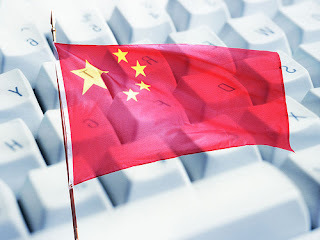 China cracks digital whip. Blocks VPNs and dissolves anonymity. For quite awhile now, China and its “Great Firewall” have been the poster child for internet censorship and filtering. But despite already tough regulations, the People’s Republic is instituting two new policies designed to choke access to content and free expression online. The first policy comes as a machine learning algorithm capable of detecting and disconnecting virtual private network connections. Despite widespread filtering, many in China are able to access blocked content through a VPN rerouted to servers in countries with less or no censorship. The new algorithms, however, sniff out VPN connections and subsequently shut them down. Currently, censored content includes social media sites like Facebook and Twitter as well as Western media outlets. The second policy is not yet official, but, if implemented, could be a game changer in an already tough environment. According to state media, China may require internet users to register with their real names when signing with network providers. Under the law, anyone signing a contract for a landline or mobile internet access would be required to present their government-issued ID, effectively destroying any semblance of anonymity left in China. Already, laws are in place regulating anonymity on certain websites, including the popular microblogging site, Weibo. On their own, these laws are controlling and restrictive. But in tandem, they represent a new culture of digital control previously unachieved by even the most oppressive regimes. And what happens when these strategies are exported? Among internet users in restrictive countries like Iran, Syria, and Vietnam, unabridged internet access through VPN services and anonymous browsing allows the transmission of ideas and the coordination of political movements. Fortunately, the struggle between censors and free internet activists has historically favored the latter party. It’s a mistake to think that any regime can completely cut off their citizens from the rest of the world. But measures like those taken in China work, often effectively, to disconnect the average users and limit the scope and influence of free expression.